1. Download and install the latest version of WebDrive for Microsoft Windows. 3. 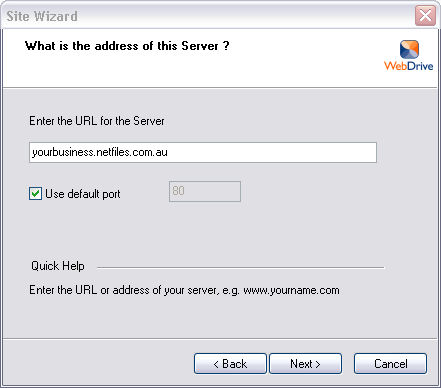 Enter the name of your site as Webdrive as shown, and choose W: from the list of drive letters. Click Next. 4. 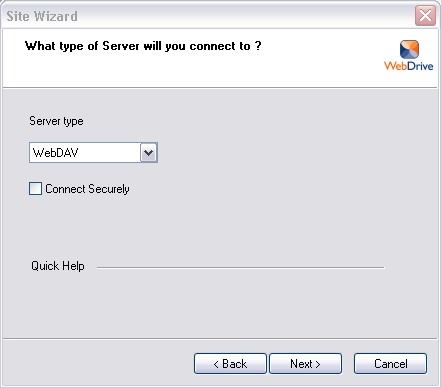 Choose WebDAV from the list of server types. 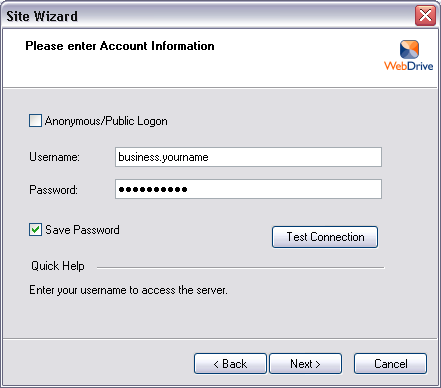 If you have applied for a security encryption certificate for your Webdrive service, you can click Connect Security, otherwise do NOT enable the Connect Security option. Click Next. 7. Click the Connect at login/startup option checkbox. 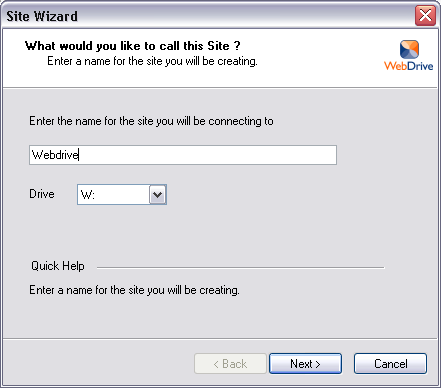 Do NOT connect to the Site now until you have optimised your Webdrive settings in the next section. Click Finish. 8. You MUST optimise your Webdrive settings to work best in Windows and for use in multi-user environments. 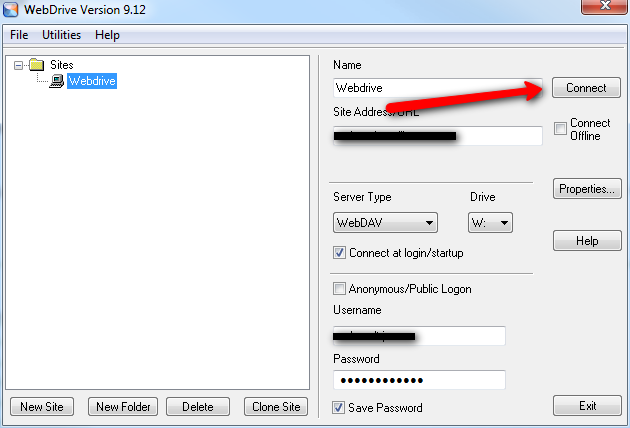 From the main Webdrive screen, click on the Webdrive branch, and select the Properties button. 9. Click on the HTTP settings section and ensure that ONLY the following settings are enabled. You may have to disable some options that are ticked by default. 10. Click on the DAV section on the left and type your name in the Lock Owner Property field. 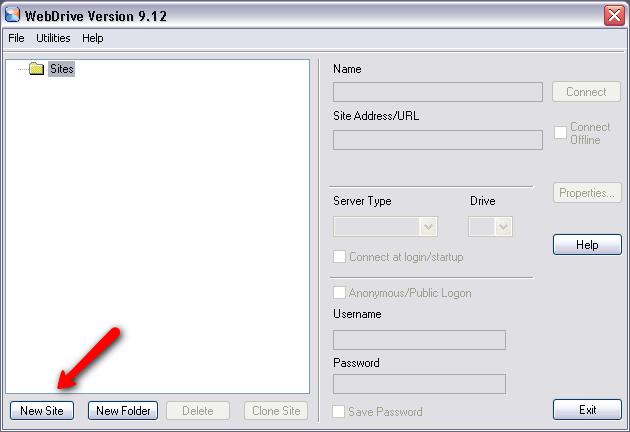 Tick Enable Auto Dav Locking, and also tick Use Dave lock to check if user has Write access to file. 11. Click on the File section on the left to access these settings. Ensure that ONLY the following settings are enabled. You may have to disable some options that are ticked by default. 12. Click on the Cache settings on the left. 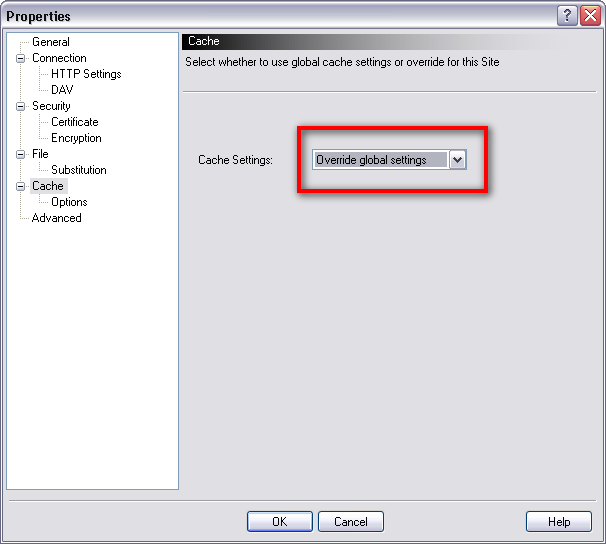 Choose Override global settings from the drop down list. 13. Click on the Cache Options section on the left. 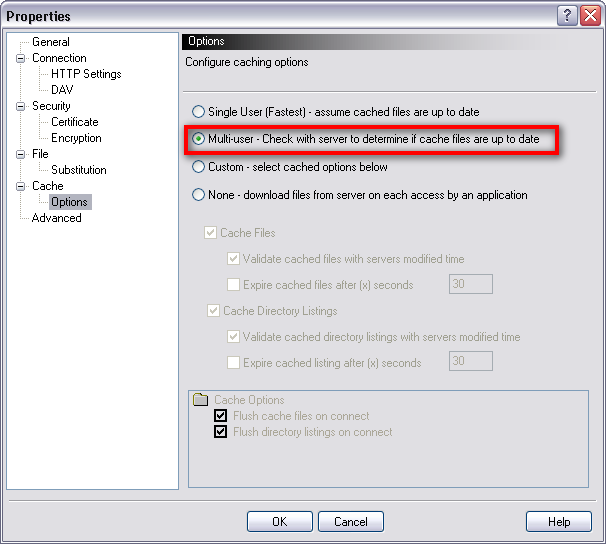 Enable the Multi-user - Check with server to determine if cache files are up to date option. Click OK to save your Webdrive settings, your software is now correctly configured. NOTE: If you have already setup Webdrive previously, and are just updating your settings, you must disconnect and reconnect your Webdrive file share before your new settings will take affect. 14. You can now connect your Webdrive. 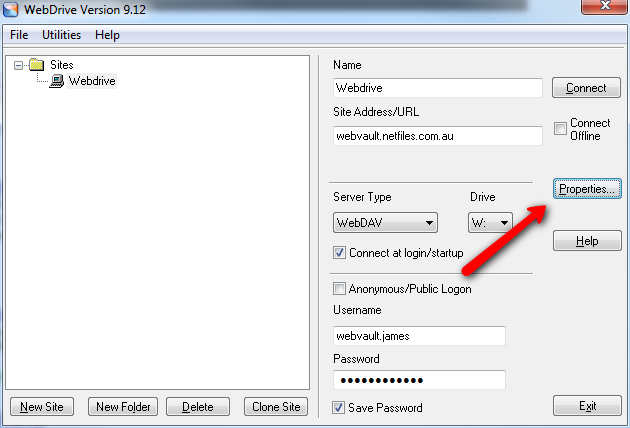 Click the Connect button from the main Webdrive screen. This will Map your Webdrive folders to the W:\ drive on your computer. You can now access or copy files and documents to your Webdrive as shown.